Sauvignon Blanc is not often our wine choice, and less often still in these chillier months of the year. Nevertheless, it’s what we were pouring this evening for a casual Friday after a long work week(s). Unless I’m mistaken, this is our first New Zealand wine (maybe the first Blanc, too) on Notes, and it acquitted itself well. How did we find the White Mountain, you ask? 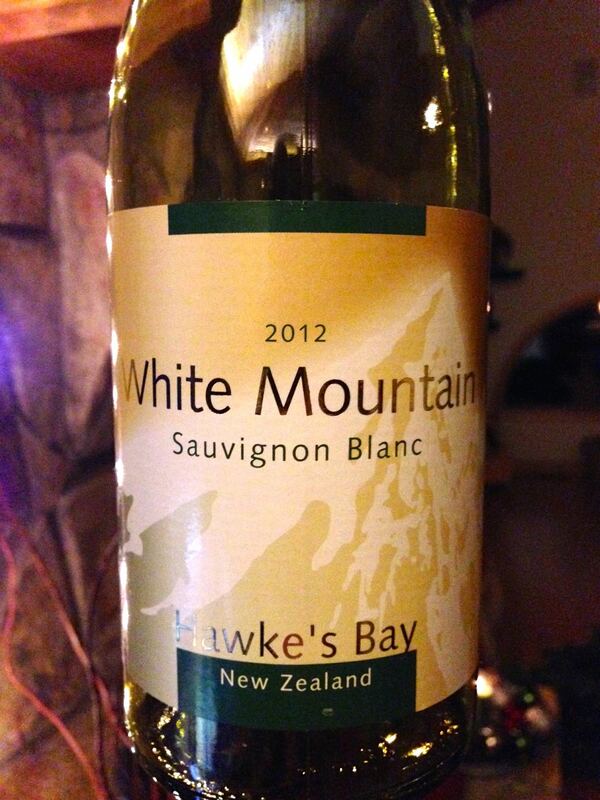 2012 White Mountain Sauvignon Blanc, Hawke’s Bay, New Zealand. Actually, this was a second bottle that my wife picked out after a fun tasting party here in the neighborhood; she enjoyed it enough to order a bottle from Wines For Humanity so that we could share together. It was aromatic, fragrant, and packed with tangy smells. Am I crazy to detect some grapefruit here in the mix? Not overpowering but definitely present. Our food was still simple, just an easy mac-and-cheese that warmed our bellies like the wine did. It needed a little salt, and sometimes a little Frank’s Red Hot, but when you have some good grapes working sometimes the meal is less critical. This is one of those times. The 2012 White Mountain Sauvignon Blanc from Hawke’s Bay is really enjoyable and encourage you to pull one for yourself if the opportunity presents itself. This entry was posted in Sauvignon Blanc and tagged New Zealand.